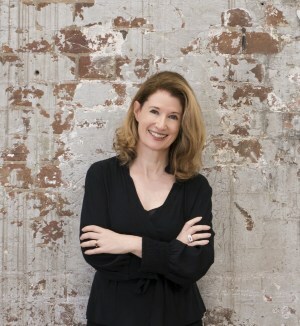 , presented by AdNews and Nielsen, will be chaired this year by Australia-based publishing maestro Karen McCartney. McCartney will lead a panel of 18 brand new judges who come from strong media, marketing and advertising backgrounds (see full list below). Entries for this year’s Australian Magazine Awards – in which there is an all-new ‘Digital Only Magazine Brand’ category, and a revised Home and Garden category to incorporate architecture and renovation – close on September 28. Don’t waste another minute – GET YOUR ENTRIES IN HERE. Karen McCartney is best known for her work in the world of interiors, architecture and design. In Australia (Karen is originally from the UK) she was editor of both marie claire lifestyle and launch editor of Inside Out, a magazine she ran for ten years. During her time at NewsLifeMedia, in the role of editorial director, Karen relaunched Country Style magazine to create the relevant title it is today. She also spearheaded the digital play for body+soul, a website to complement News Corps successful health and wellbeing brand. Since leaving News Corp in 2012, Karen has been editorial director of online retailer Temple & Webster, working with the team to drive brand engagement through the award-winning blog. Karen launched content agency Edit’d in 2016, now partnering with ex-Bauer Media executive Jayne Ferguson. She is architecture editor of Belle magazine and has a weekly design column in Good Weekend in the Sydney Morning Herald and The Age newspapers. Her latest book The Alchemy of Things; Interiors shaped by curious minds, launched in September through Murdoch Books. The awards will be given out at an evening ceremony at Ovolo, Wooloomooloo on November 22nd. Tickets for the evening are priced at $145.00 and upwards for group booking. The MC for the evening will be Melbourne Comedy Festival award winner Ivan Aristeguieta, who is a very funny man indeed. Watch him here. AdNews would like to thank our presenting partner Nielsen, our founding partner Magazine Networks, and our long-time supporters Gordon and Gotch and Bluestar Web. We would also like to thank our good friend and supporter, Rachel's List. The Australian Magazine Awards, presented by AdNews and Nielsen, will be chaired this year by Australia-based publishing maestro Karen McCartney.